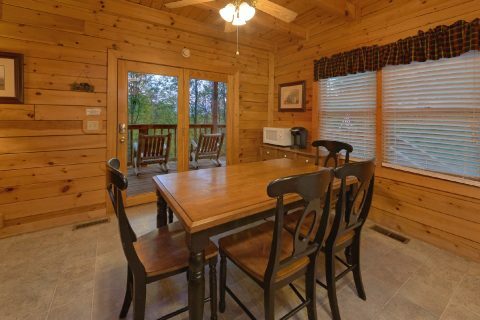 Escape to your own personal retreat in the mountains to this private 2-bedroom cabin rental near Pigeon Forge, "A Twilight Hideaway." 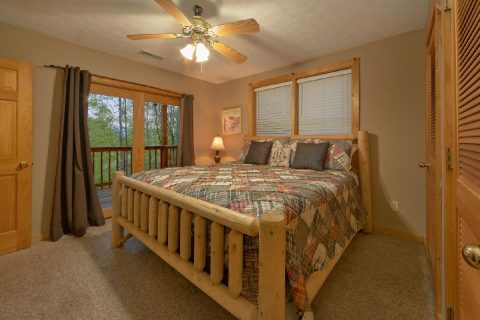 With a 3-level deck, hot tub, and more, vacationers can enjoy a luxurious cabin interior in a private setting that also provides a convenient cabin location for a fantastic escape to the Smokies! 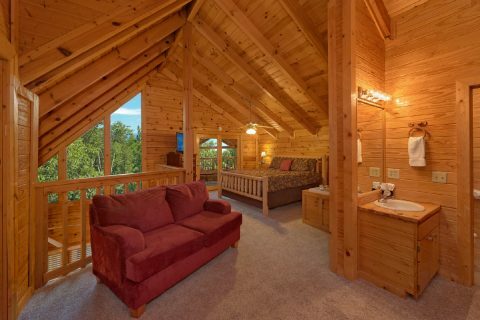 One of the best features of this cabin is its, 3-level deck. 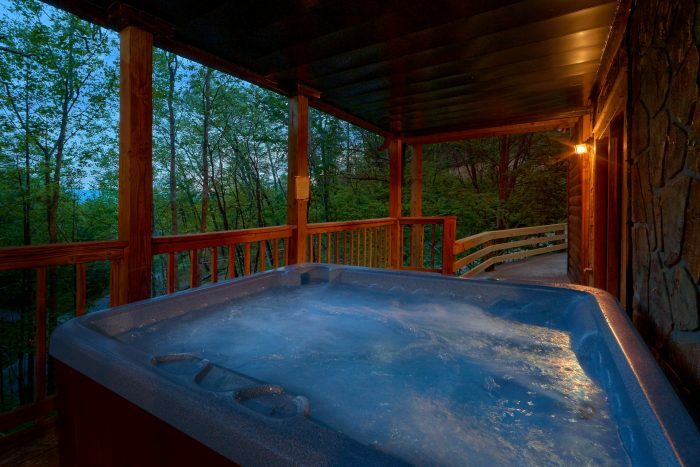 Here, you can relax in the warm waters of your hot tub or enjoy cookout on your charcoal grill, either way you'll love taking in the sights, sounds, and smells of the Smokies. At day's end, enjoy breathtaking Smoky Mountain sunsets while relaxing on your porch swing. 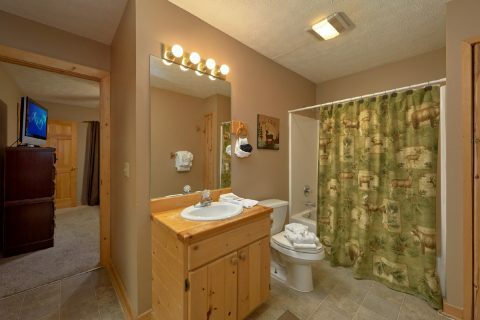 There's plenty of amenities to enjoy inside your cabin as well. 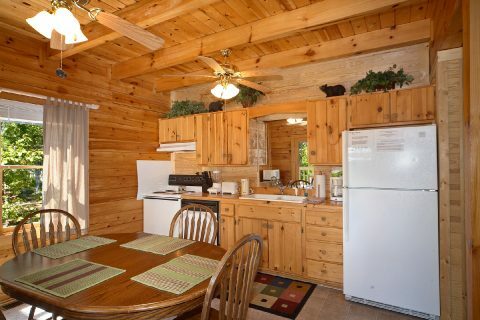 This 3-level cabin provides a sumptuous interior for a relaxing and entertaining. Relax in front of the warm glow of the living room's gas fireplace. Watch the big game or your favorite shows on the satelite TV. 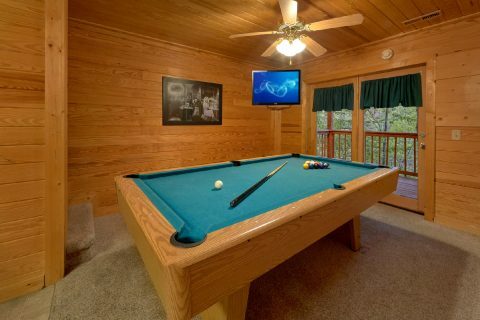 Your cabin's game room offers a pool table for friendly competition in your cabin. 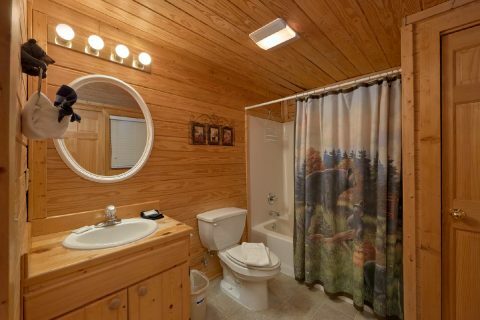 There's plenty of space to unwind after a fun day in your cabin. 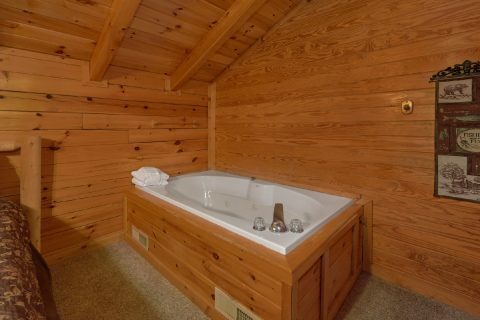 Enjoy a spa night in the warm waters of your jacuzzi tub. 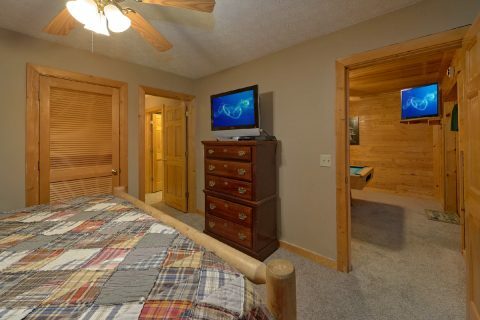 A peaceful night of sleep awaits in your cabin's 2 king beds. A queen sleeper sofa provides additional sleeping space for guests. 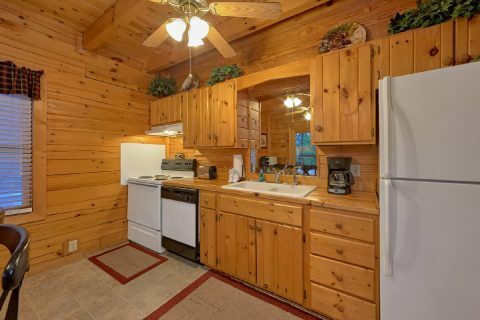 Your cabin also provides practical amenities such as dishwasher and washer and dryer for a comfortable, convenient cabin stay. 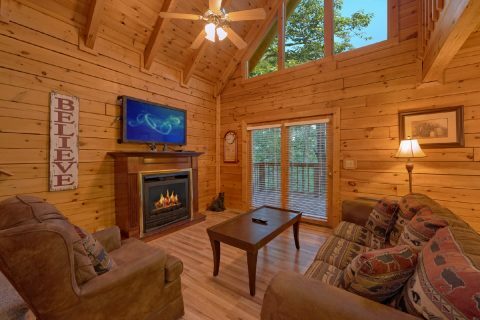 While there's plenty to love at your cabin, you'll also be close to all the fun and excitement the Smokies has to offer. From shopping at outlets to a round of mini golf, a hike in the Smokies to a dinner in Pigeon Forge, you're sure to have an unforgettable vacation. 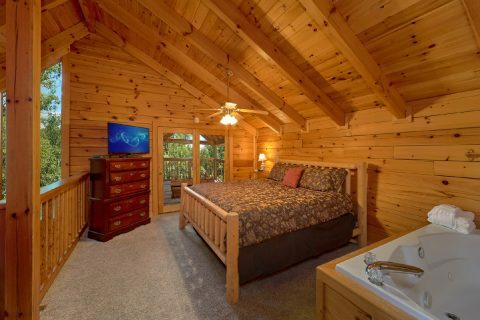 Book this private, 2-bedroom cabin near Pigeon Forge and start planning your mountain escape. To make your vacation even better, book "A Twilight Hideaway" online and you'll receive a 15% online booking discount!